This was one of the first areas that, betting on quality, rediscovered the great potential of the Garnacha grapes grown with low yields in old vineyards. The slate soils, the terraced vineyards, steep slopes and a mild Mediterranean climate, make this area distinctive and its Garnachas have a very interesting mineral character. Historically, Garnacha has played a prominent role in La Rioja. It was the main variety for years until it began to be replaced by Tempranillo. Although here too many vineyards have been uprooted and can no longer recover, there are still old vineyards that are authentic jewels and provide some of the best Garnachas in the world. 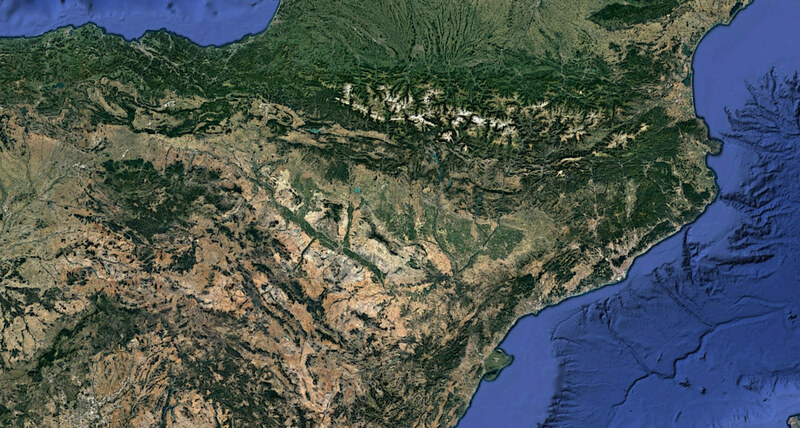 Just 40 kilometers in a straight line from the Pyrenees, in this area influenced by the Atlantic climate it is not very common to find vineyards since they disappeared decades ago due to phylloxera. Currently there is only one, planted in 1999, and located in a unique enclave where the terrain, climate and altitude go hand in hand to provide the maximum potential of the Garnacha. Located under the influence of the Moncayo Massif, in this area it is very common to find wild vineyards that have been abandoned by their owners. Due to the extreme climate, the very hot summers and very low temperatures in winter, together with the high altitude, the villages in this area of the river Queiles can produce really special Garnachas. This region’s rugged, arid landscape, coupled with a continental climate characterized by very low temperatures in winter and very high temperatures in the summer, is where Garnacha produces best. But for decades, for various reasons, a large number of Garnacha vineyards were uprooted; of the 50,000 hectares in existence in the 1950s, there are barely 4,000 at present.